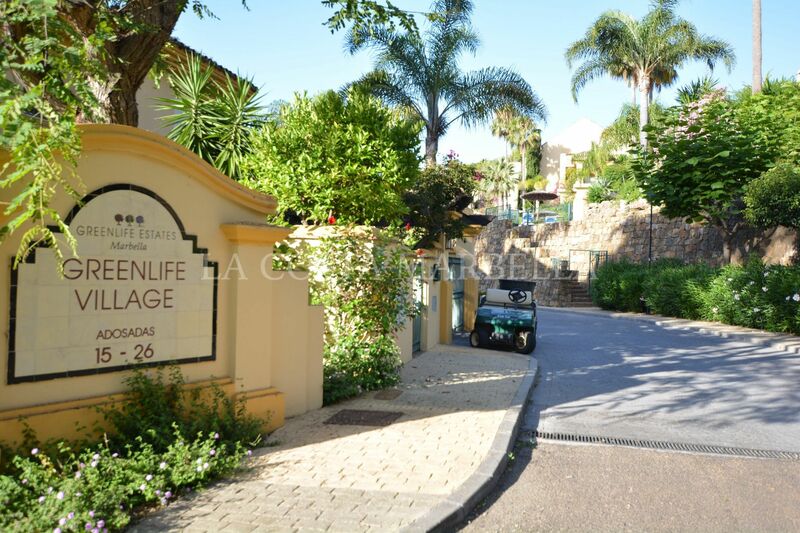 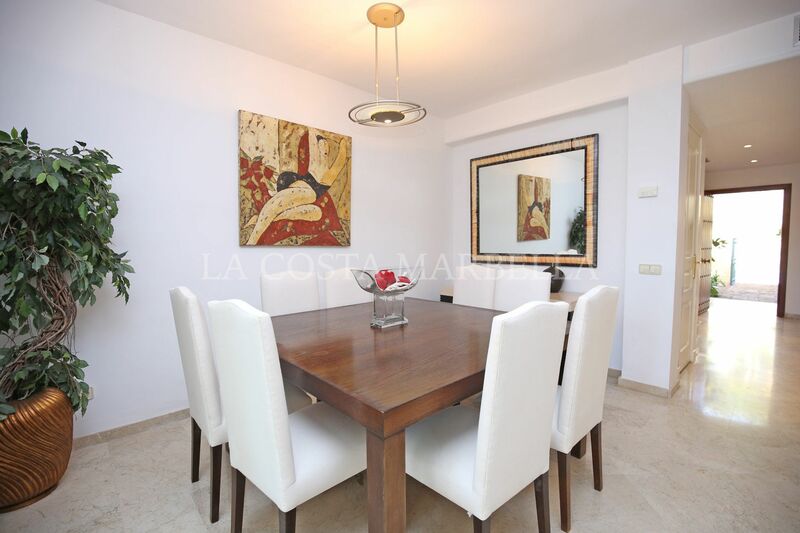 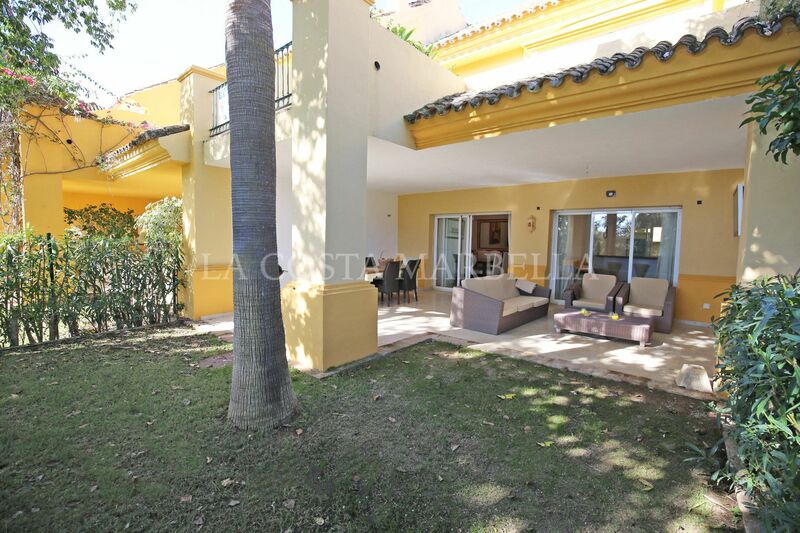 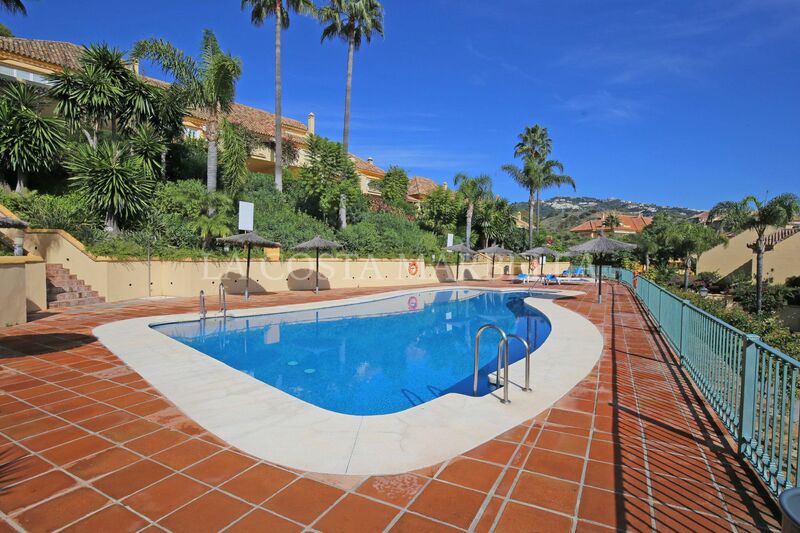 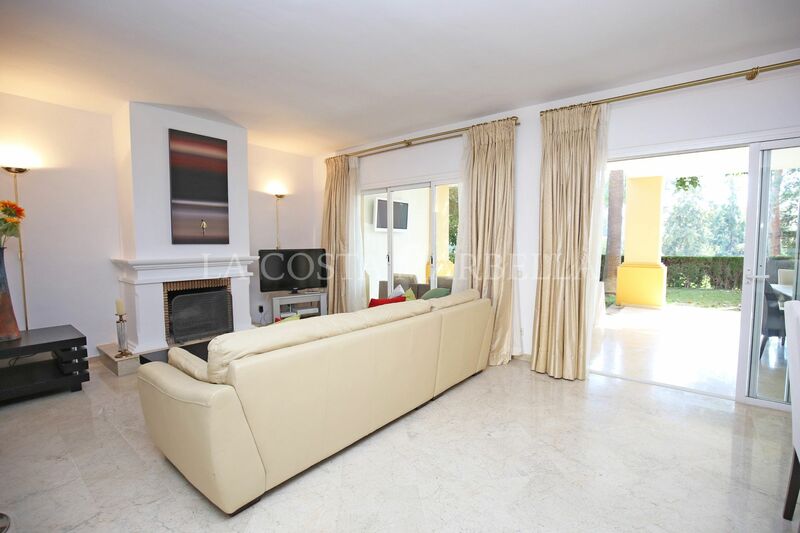 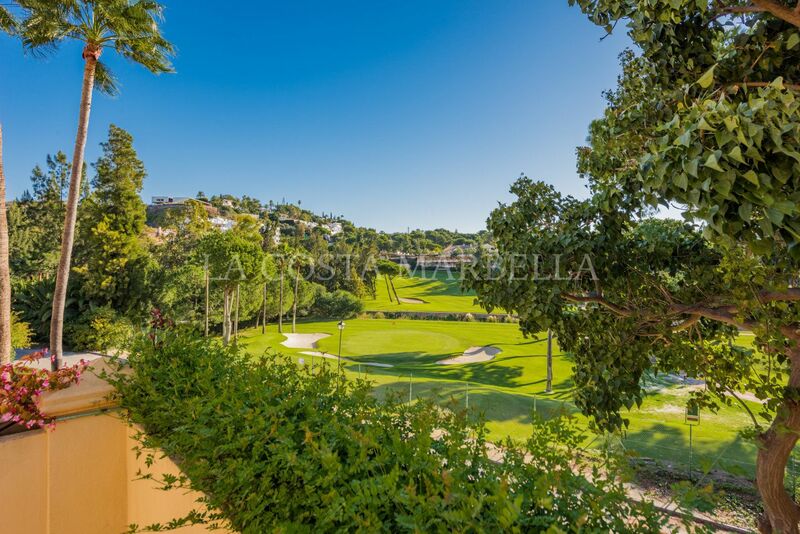 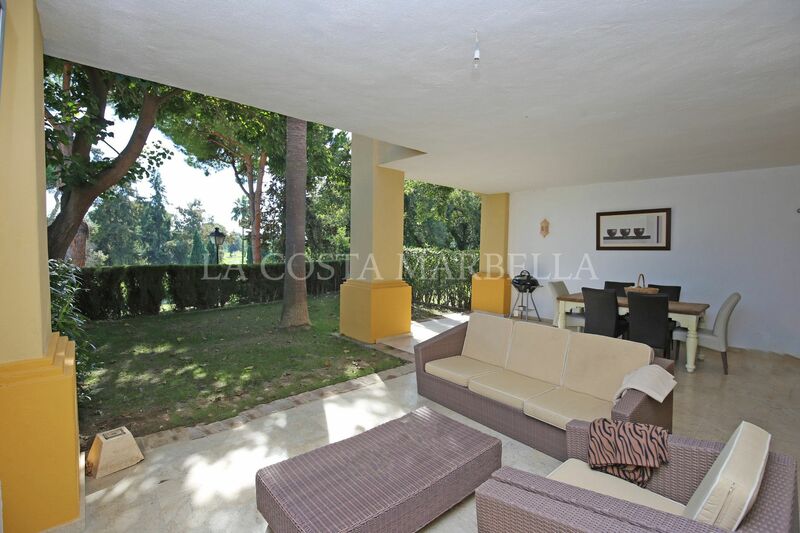 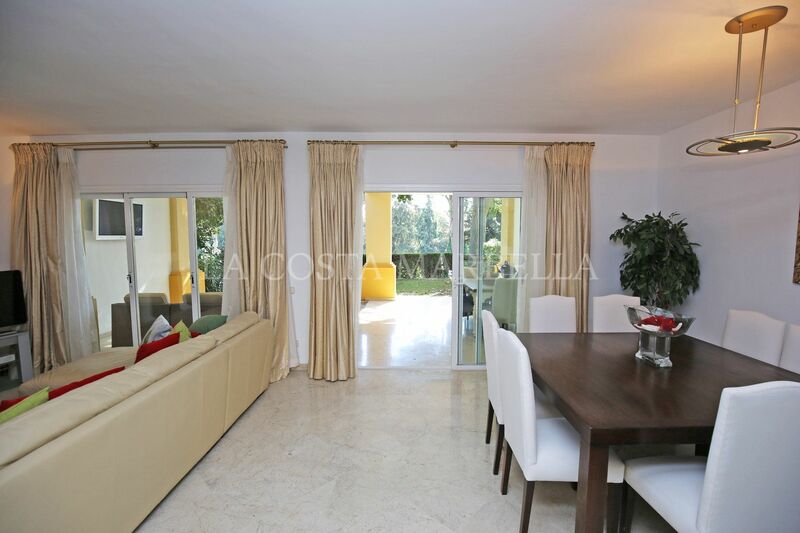 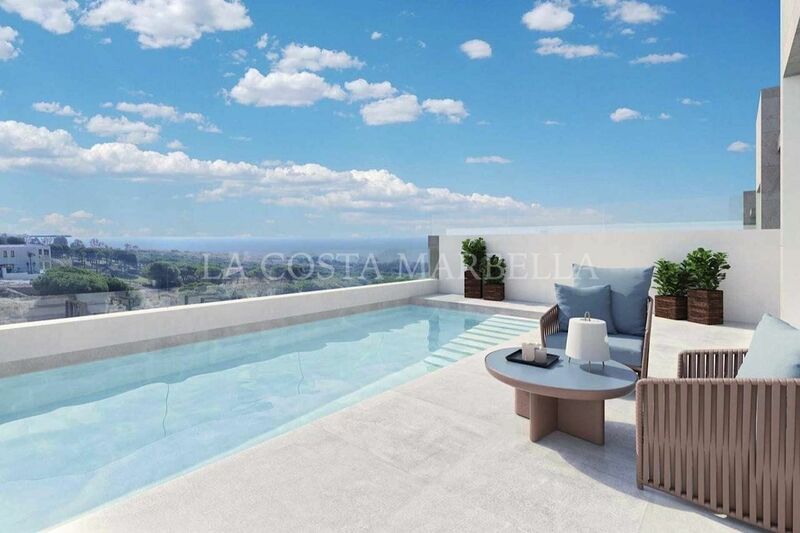 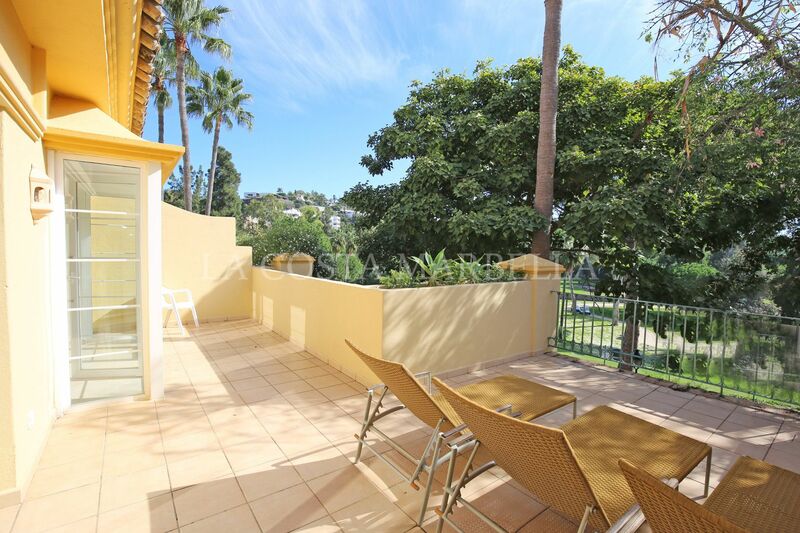 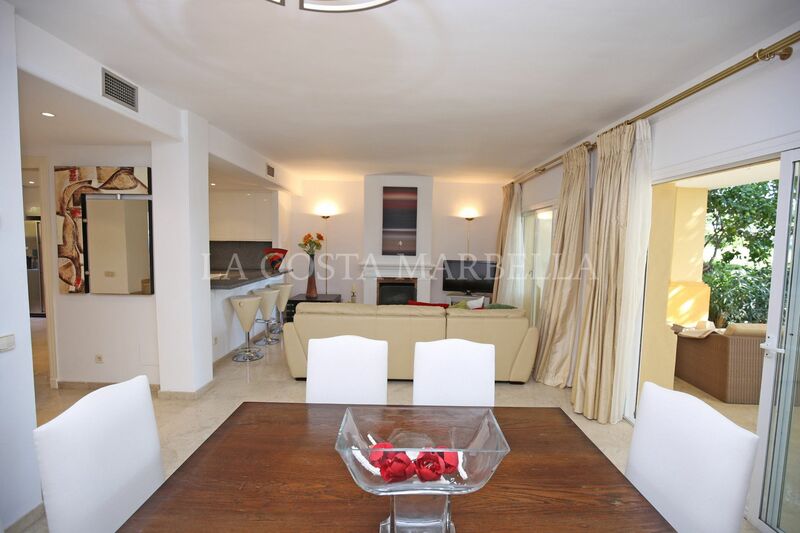 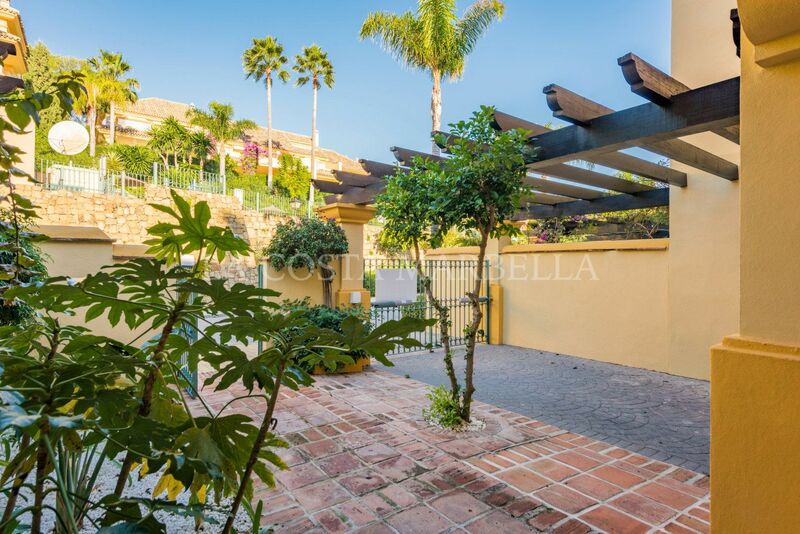 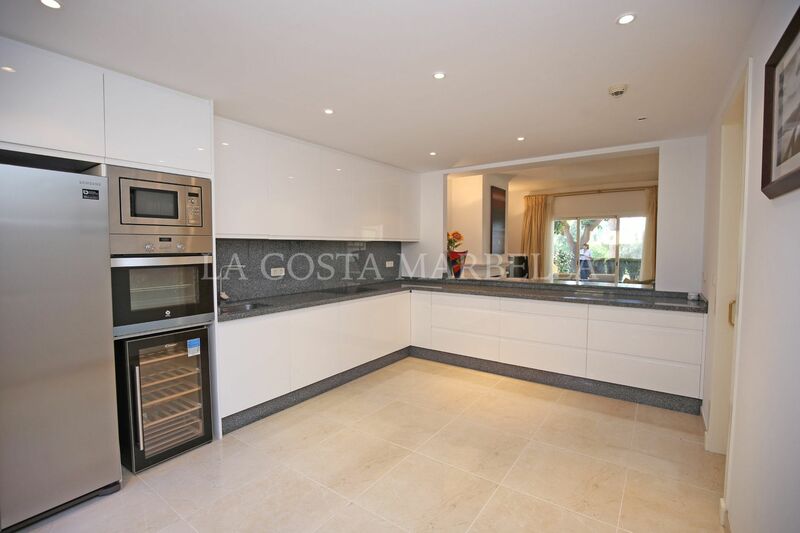 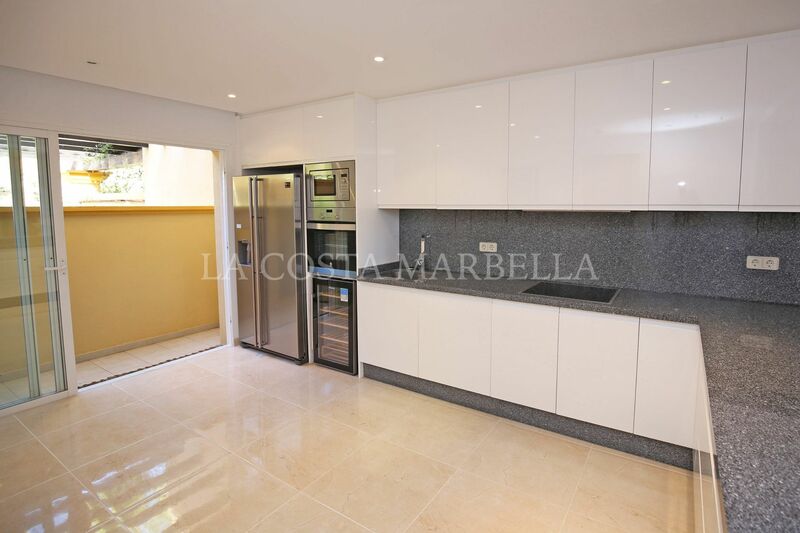 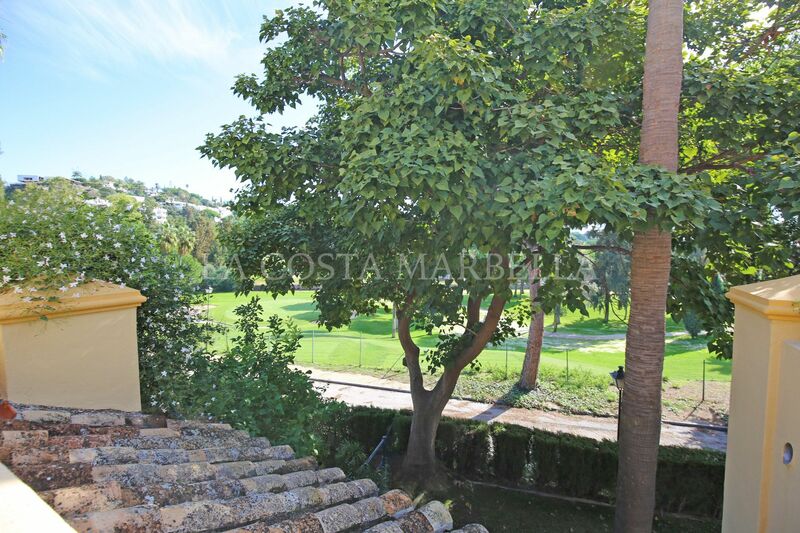 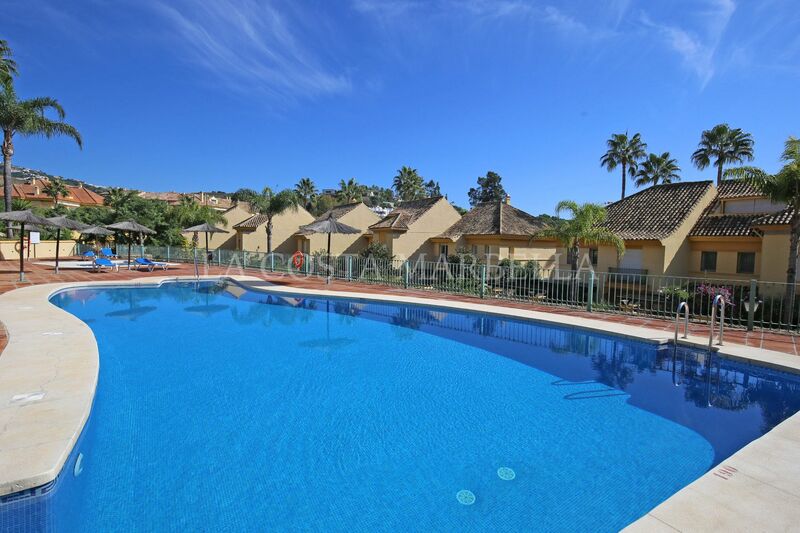 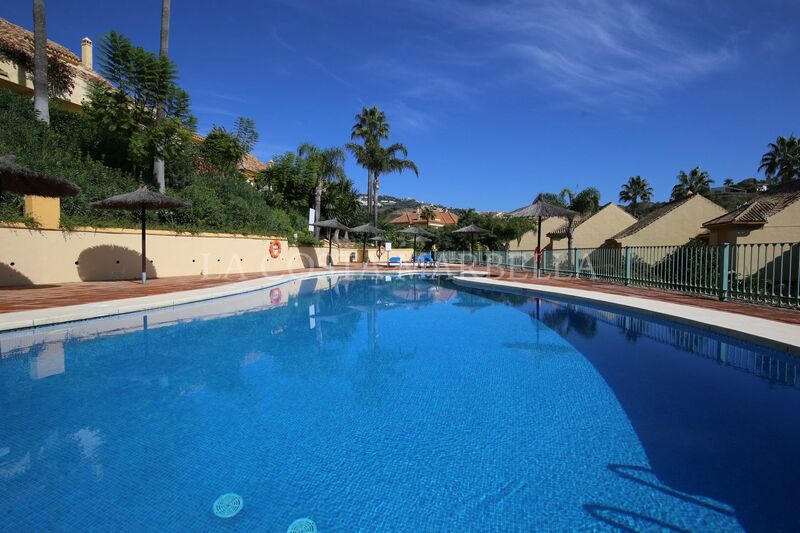 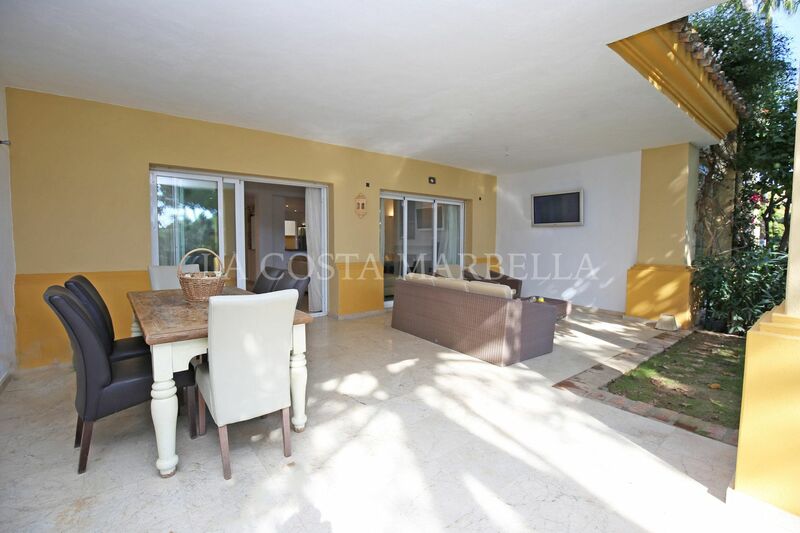 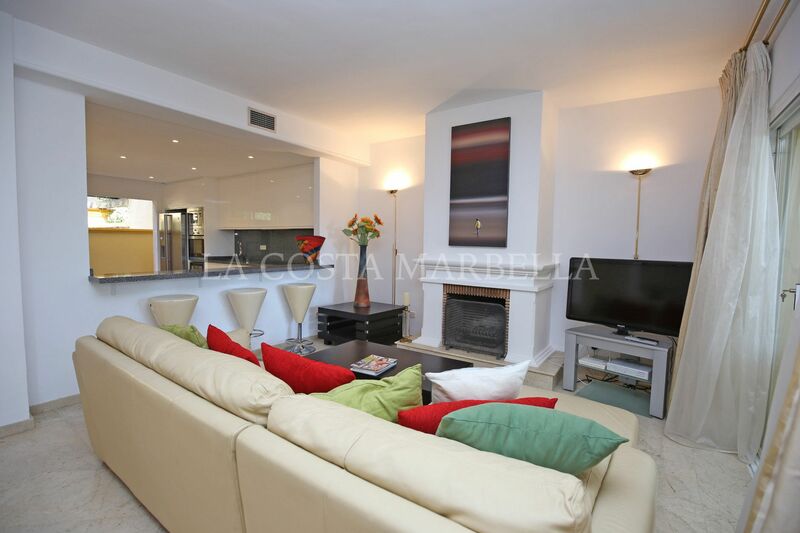 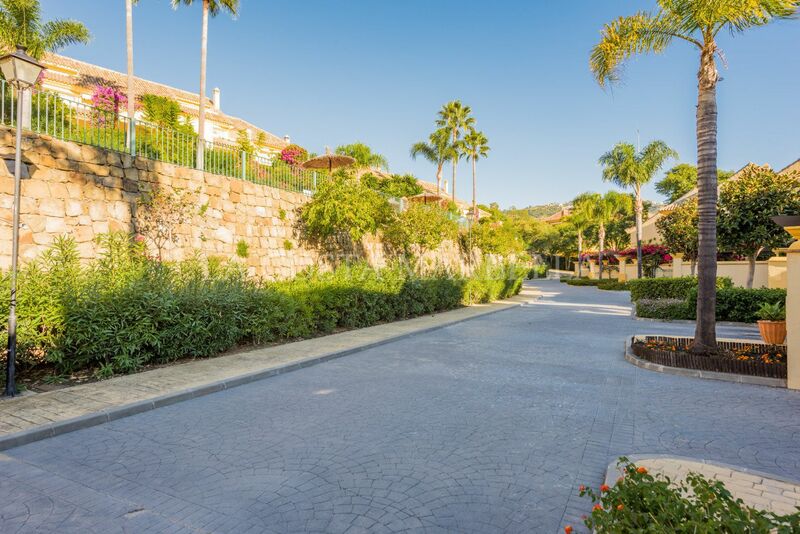 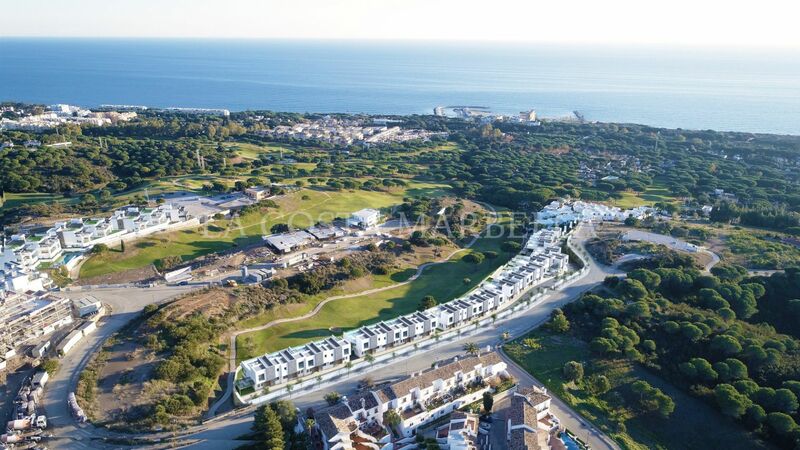 Wonderful three bedroom, east facing townhouse in the prestigious frontline golf community Greenlife Village in Rio Real; with communal swimming pool and just five minutes to Marbella Town and Puerto Banus. 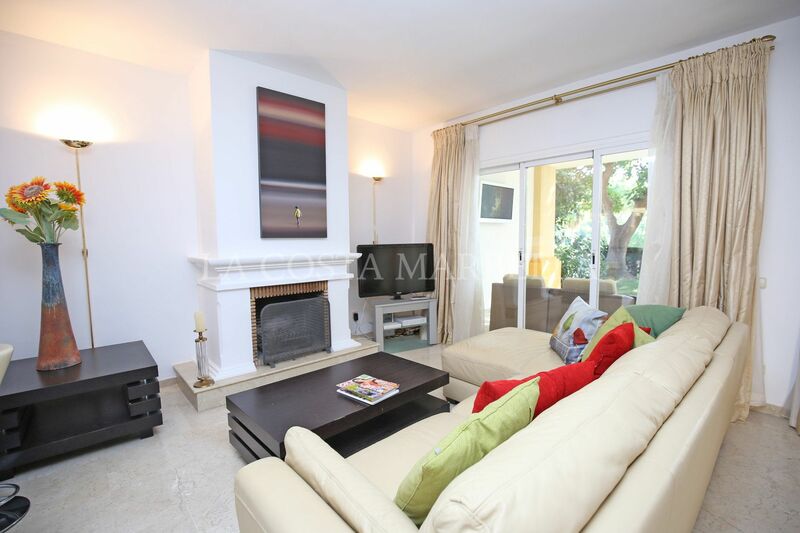 The property has an open plan living and dining area with a fireplace and patio doors leading out to the spacious covered terrace and private garden with views to the golf; large modern fully fitted kitchen; and a guest toilet. 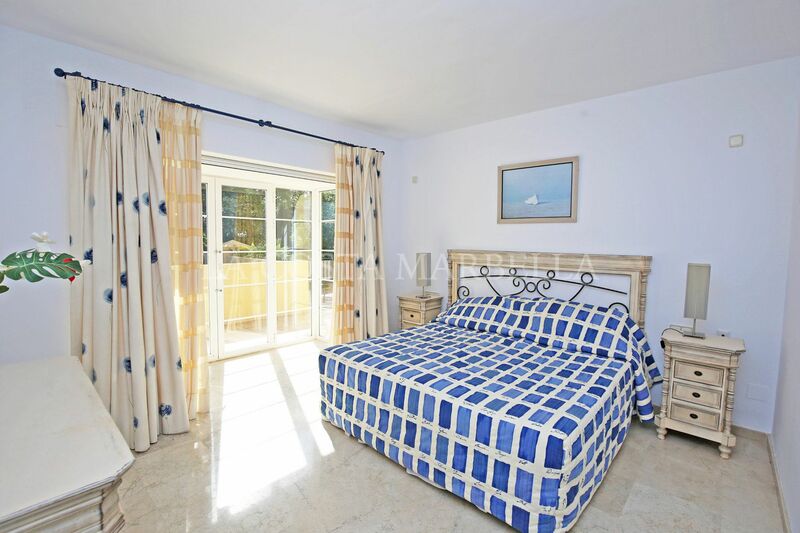 The first floor has the master suite with access to a terrace with golf views; and two guest bedrooms sharing a bathroom. 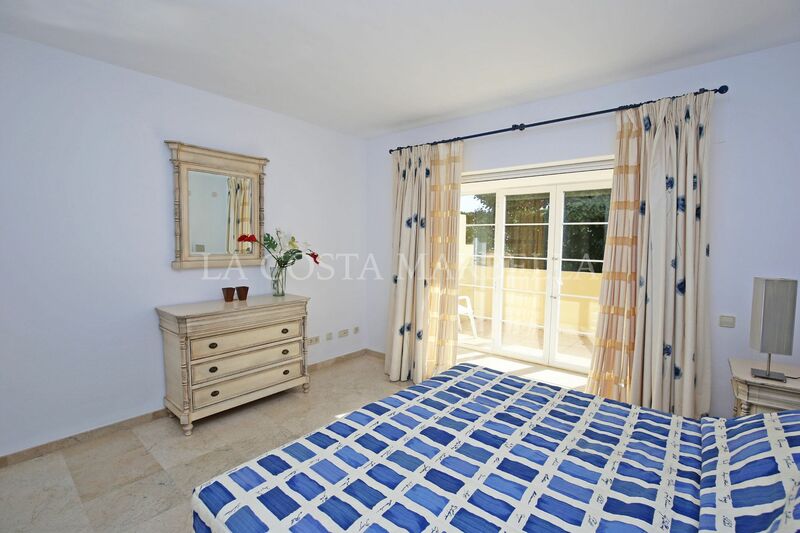 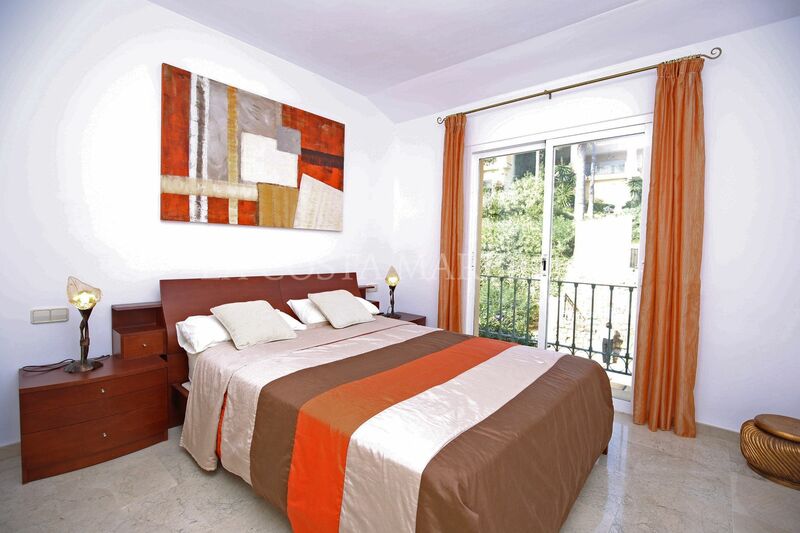 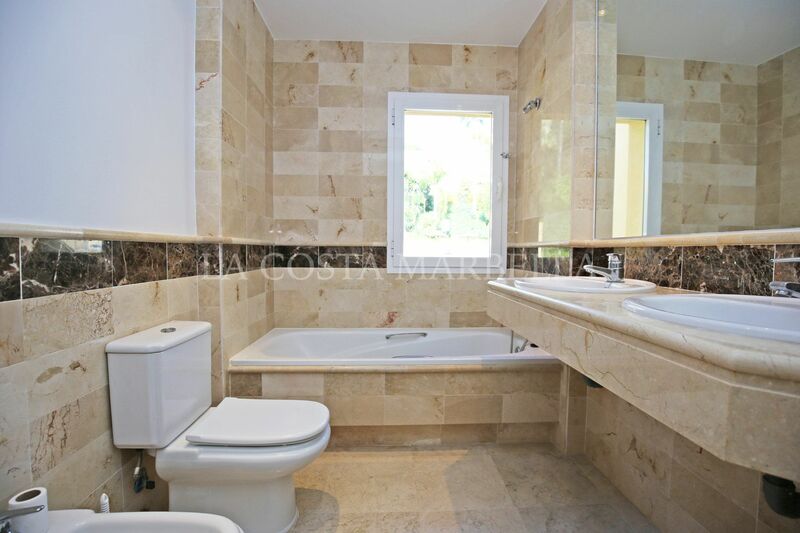 Other features include marble floors, electric shutters, alarm system, fitted wardrobes and a private parking space. 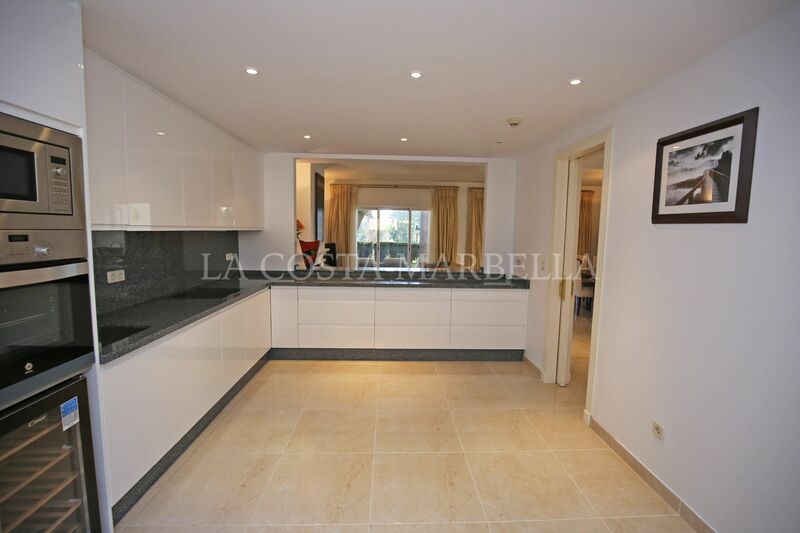 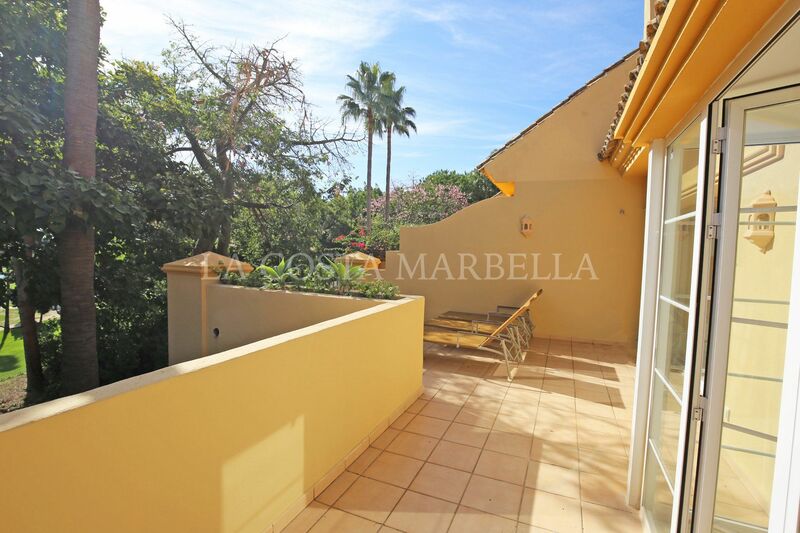 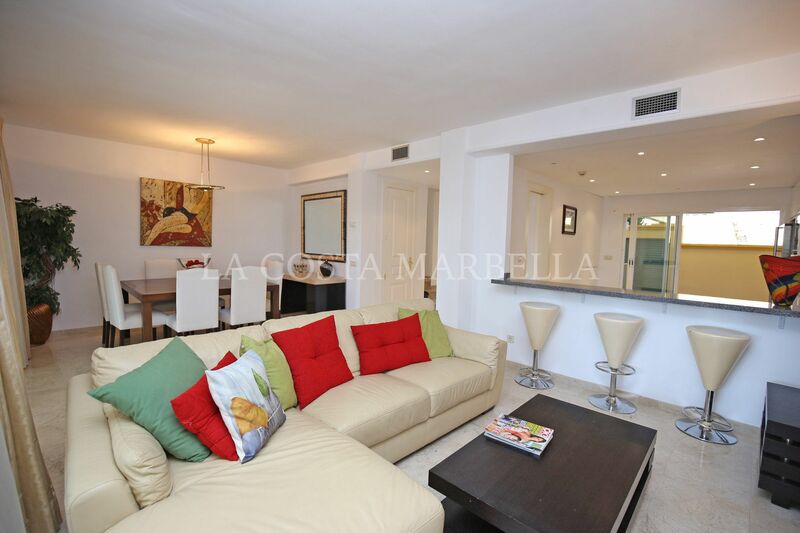 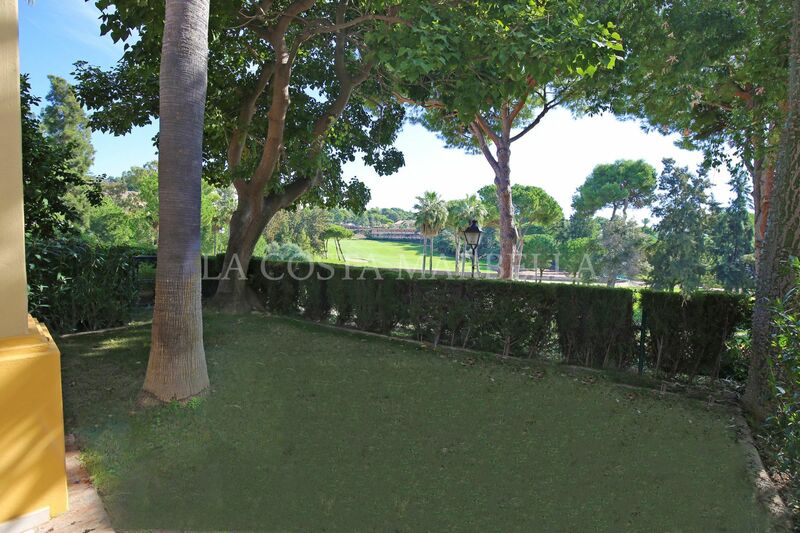 Please, send me more information about ref 2329MLTH, Town House in Green Life Village, Marbella East or similar properties.